Lame Post Friday is getting lamer and lamer, I fear. Perhaps I am coming to the end of my usefulness as a blogger. SAY IT AIN’T SO!!!!! I have been having a fun evening. My husband, Steven, and I went with our friend Kim to a beer tasting at Route 51 Beer Belly Bob’s Discount Beverage Center in Ilion. We purchased some beer, of course. I do not drink as much beer as I used to, but sometimes a beer really hits the spot. Kim had commitments elsewhere, so Steven and I continued to dinner alone at Salvatore’s in Herkimer. We had soup and garlic knots. Yum! Then Steven had a cup of coffee and I inadvisedly had a piece of chocolate spoon cake for dessert. Oh, was it ever good! However, it was also very rich and filling. If I dare to step on the scale tomorrow morning I will no doubt find I have jumped up three or four pounds. 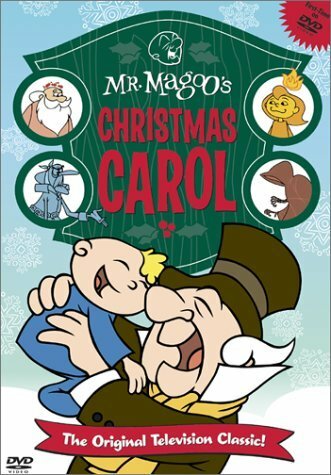 Now we are home, and Steven put in our DVD of Mr. Magoo’s Christmas Carol, one of his (and my) favorites. Oh, sure, just give away the ending! Well, talking about that has put me in a sweet, cuddly Christmas mood. I’m going to knit and watch the rest of this Christmas special. Full disclosure: next I may watch Dateline. After all, I still gotta be me. Happy Friday, everyone. Posted in humor, Lame Post Friday, personal and tagged beer, Beer Belly Bob's, blog post, blogging, Christmas, Christmas favorites, Christmas music, food, Mr. Magoo, Mr. Magoo's Christmas Carol, Route 51 Beer Belly Bob's Discount Beverage Center, Salvatore's Herkimer, Salvatore's Pizzeria and Restaurant. Bookmark the permalink. 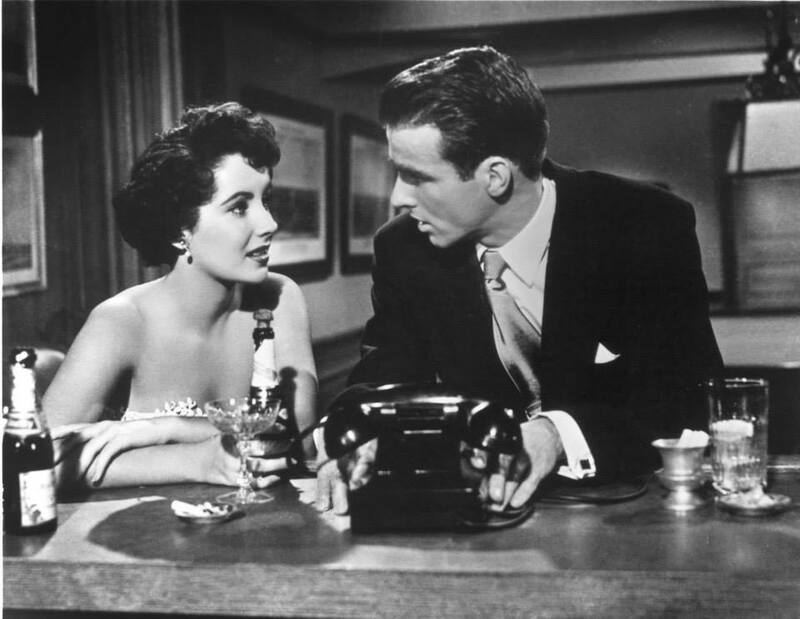 We are currently watching A Place in the Sun after our Scattered Saturday gyrations, and it is high time I made my blog post. Why, oh why, did I not post earlier? Well, I’ve been busy. I got up early enough, just prior to 6 a.m. After some coffee, I went for a run. What a great run! I could have made an awesome Saturday Running Commentary, but that ship sailed away fast. What can I say? Later in the morning, we drove to New Hartford, NY, where we ordered new glasses at Eye Q of CNY. We had gotten out eyes examined a few weeks ago, but I had too bad of a headache that day to decide on glasses. I was happy we waited, though, because I chose a rather fabulous pair of frames. Perhaps I will post a picture of the finished product. Later on we went to an early dinner at Salvatore’s in Herkimer, NY, with some of the folks who were supposed to be part of A Trivial Murder, the interactive murder mystery that was to have been tonight. It has been rescheduled to March 23. I will have more information on that as the date approaches. So I guess we have not scattered ourselves as widely as on other Saturdays. No matter. We are watching a movie. I have made a blog post. I hope you are all having as pleasant a Saturday evening. Posted in humor, personal, Scattered Saturday and tagged A Place in the Sun, A Trivial Murder, blog post, blogging, local business, murder mystery, running, running commentary, Salvatore's Herkimer. Bookmark the permalink. As Steven and I drove to Salvatore’s in Herkimer for dinner, I said, “And the beauty part is, I can write a blog post about our dinner!” So here I am, trying to make the post but full disclosure: all I want is another glass of Chardonnay! Don’t judge me. There was really no reason for a dinner out tonight, except that we wanted to go. Salvatore’s is right in town, and we like them. When we pulled into the parking lot at 4:08 (I was looking at the clock in the car), the parking lot was empty. So was the dining room, and a nice young man invited us to it wherever we would like. Steven suggested an intimate table for two. Soon we were sipping Chardonnay and perusing menus. We got up to look at the special board again, after telling the waitress that yes, we had seen the specials. We decided to order off the menu. I got a Chicken Greek Wrap with pasta salad while Steven got a Spinach Salad with ranch dressing and a bowl of vegetable-beef-potato soup. The parking lot got more full as we sat there. A few more people came in for take-out orders and a young man sat in the dining room for a slice of pizza. Additionally, a few people were sitting outside at a table. I had thought of sitting outside at a table but ultimately felt it was too warm for me. Our dinners were delicious, and we had leftovers to take home. These will enhance my lunch tomorrow and perhaps our dinner another day. We enjoyed the quiet dining surroundings, although we have also enjoyed busier nights when we have seen people we know dining. I highly recommend Salvatore’s, 650 1/2 W/ German St., Herkimer, NY. You can Like them on Facebook. Posted in humor, local business, personal and tagged blog post, dining, dining out, food, Salvatore's Herkimer, Salvatore's Pizzeria and Restaurant. Bookmark the permalink. Full disclosure: I was supposed to cook. Well, with one thing and another (one thing being working out after work, another being going to a tasting at Valley Wine and Liquor with my friend Kim), I wasn’t ready to start cooking till about 20 minutes before Steven was due home. Only I didn’t feel like cooking. I wondered if Steven would be interested in going out to dinner. I kind of thought he would not be. I wasn’t sure I was. I had put on a cute outfit to go to the tasting (although I daresay I flatter myself), but I was also looking forward to the bra off, sweats on portion of the day. And the wine drinking portion of the day. At least I could do something about the latter. I poured myself a glass of Chardonnay, put Snapped on the television, and awaited events. In due course, Steven came come. He didn’t mind that I had not started cooking but did not immediately commit to going out. “Let’s have a glass of wine and think about it,” he suggested. “I’ll make a quick blog post,” I said. So that is what my blog post is about. I think we are going to Salvatore’s in Herkimer. As soon as I finish my wine and Steven gets changed. I hope he puts on a cute outfit. Posted in humor, Lame Post Friday, personal and tagged blog post, blogging, bra off sweats on portion of the day, food, friend Kim, husband Steven, lame post, Salvatore's Herkimer, Salvatore's Pizzeria and Restaurant, tasting, Valley Wine and Liquor. Bookmark the permalink.